How many times have you examined your teeth in a mirror or a photograph, or even asked somebody else what they thought of your smile? Is the crooked tooth that noticeable? Does that one canine look as pointy as you think it does? A beautiful smile is something that everyone wants to have, as it unquestionably adds to your appearance. The whole world sees it on you every day. It isn’t easy to hide. There is no makeup for crooked teeth, and covering up your mouth every time you laugh manages to take some of the fun out of it, doesn’t it? If you suffer from crooked, misaligned, chipped, dull or overly pointy teeth, tooth contouring and reshaping might be the perfect solution. It is a minimally invasive, relatively painless procedure, where the benefits far outweigh the small task of getting it done. 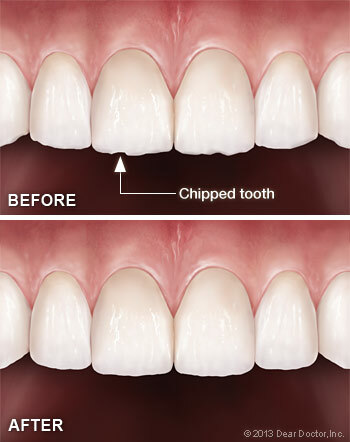 Tooth contouring can fix and reshape edges that are a bit too flat, too round, or sharp. Uneven ridges and chips can be easily shaved down and smoothed out using a small drill. The drill files off enamel, the smooth, durable overlay on our teeth which does not house any nerves and protects against cavities. While a patient would likely feel some minor vibrations along their teeth during the procedure, it is usually painless and does not require even a local anesthetic. Amidst necessary dental work done to improve or maintain oral health, tooth contouring and reshaping is more of a cosmetic procedure. However, it can help prevent issues like gum disease as well. Come in for a consultation and learn whether tooth contouring might be a good defensive measure for you. Tooth contouring and reshaping may or may not be right for everyone. If reshaping your teeth would misalign your bite or cause an imbalance, you should not receive the treatment. However, the process can be used to actually fix a bite problem, as well. For example, if teeth are meeting each other unevenly when you close your jaw. Tooth contouring and reshaping is modern dentistry at its best. Whether you are suffering from a less than flattering overlap, or an overly prominent canine, reviving your smile with tooth contouring can alleviate these problems. Contact Dental Professionals of Lincoln Park for more information to find out if this procedure is right for you.